Eagan Pet Clinic is happy to offer VitusVet. VitusVet is a mobile phone app based platform. You can download VitusVet to your phone from your Android or Apple app store (click on the logo below). When signing up, make sure you enter as much personal information as possible (address, email, phone, etc.) so VitusVet can match that account with your account at EPC. With VitusVet you will be able to easily see your pet's past and future lab work, request an appointment, view your pet's vaccination history, and request a refill of a medication or food. Be aware that lab results will not populate in your app for five days. Eagan Pet Clinic also uses VitusVet to send out your pet's vaccination and service reminders and any urgent or important communications (such as a pet food recall or change in clinic hours due to bad weather). 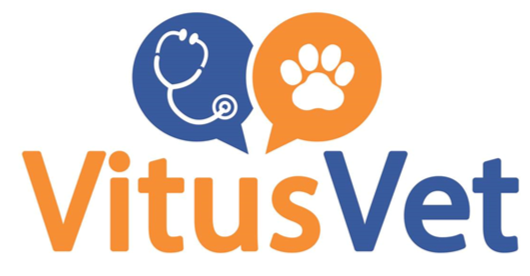 If you would prefer to access your pet's information via a website and not a mobile app, you can setup and login to your VitusVet account here.